Face Recognition : Matches the Face to that in the database. 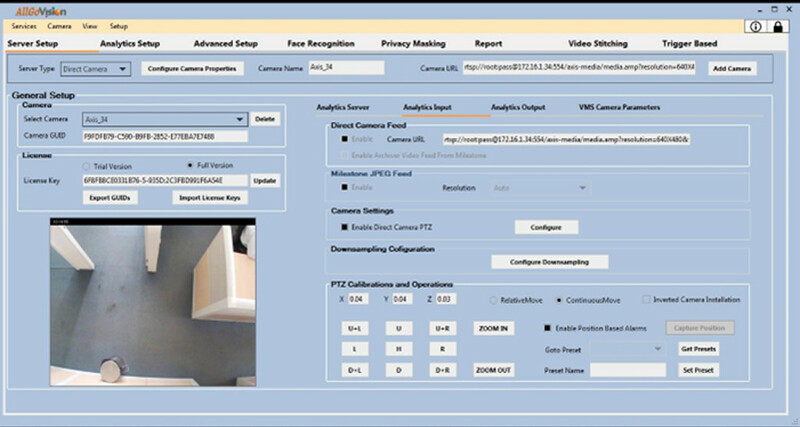 Works with generic IP cameras with good quality. Works in both indoor as well as outdoor environments. Works with limited pose changes. Works even when people are walking. Works despite camouflage efforts with spectacles, beard or wig. Works for people of different ethnicity. Face recognition time can be as low as 1 sec. Works for up to tens of thousands of registered faces. Works even with one registered image per face. People walking towards camera with face visible frontally. 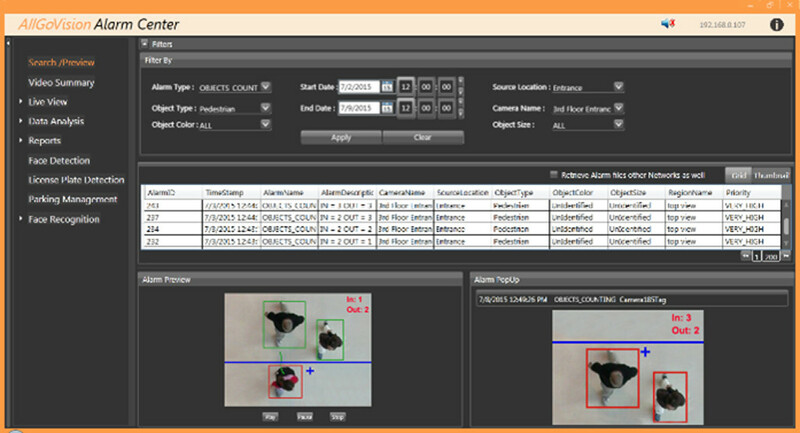 The face detection allows ±20 degree tilt in both x and y direction. Works at resolutions 640x480 and above, up to 1080p, and for frame rate above 8 fps. Face recognition time is 1-3 sec. Works for a database of up to 10,000 faces. No of registered image per face: 1-10. Last Seen Time of the recognized face is also shown. The environment is indoor as well as outdoor. 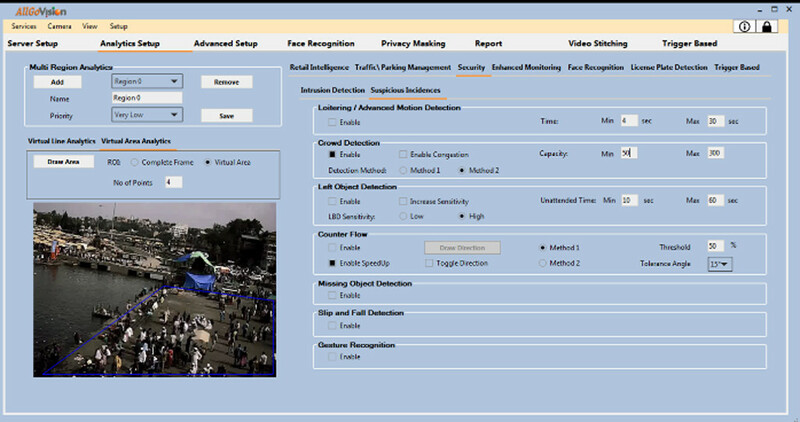 The camera is able to track the detected face when it is moving and does not generate multiple alarms. Cameras should be installed at Angular direction. Camera installation height depends on resolution, typically 1.7 meters. Detects face typically up to a distance of 3 meters from the camera. The actual distance depends on camera installation height and associated angle of incidence. Constant illumination through out the day (> 200 lux). 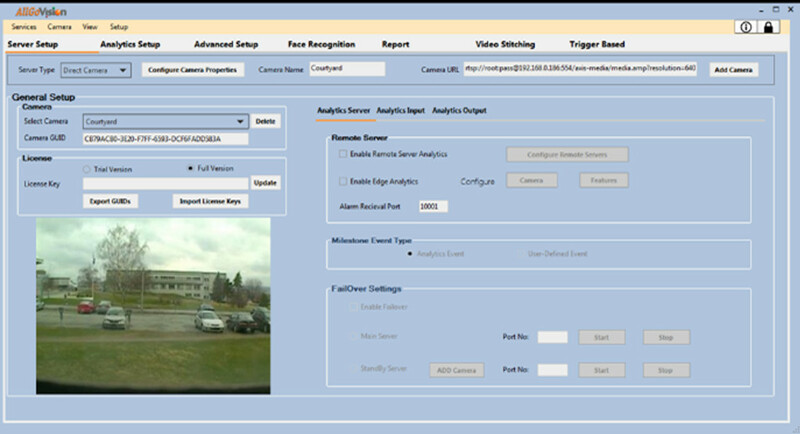 AllGoVision send recognized/non recognized alarms to VMS Viewer application.